This race report is kind of late considering it was nearly two weeks ago- and I just deleted my draft that I had started (on purpose) because it was getting a little wordy for a simple mile race. I wore spandex shorts because they make me feel fast. It might have been a little early in the season (pale legs + winter weight) for them, a realization that came as I stripped off my sweats in the start corral. Oh well. I caught a glimpse of the clock as I was coming up on the half mile mark and I was well under six minute pace. I freaked out and slowed down. Still not sure why. I can tell I didn't run very hard because I was able to smile and wave to a few friends that were spectating along the course. I feel like if I was working harder, I wouldn't have been coherent enough. Kat and I both marveled at how racing a mile is really not damaging to one's appearance the way distance running is. No runny makeup, no rat's nest ponytail... You hardly even break a sweat. 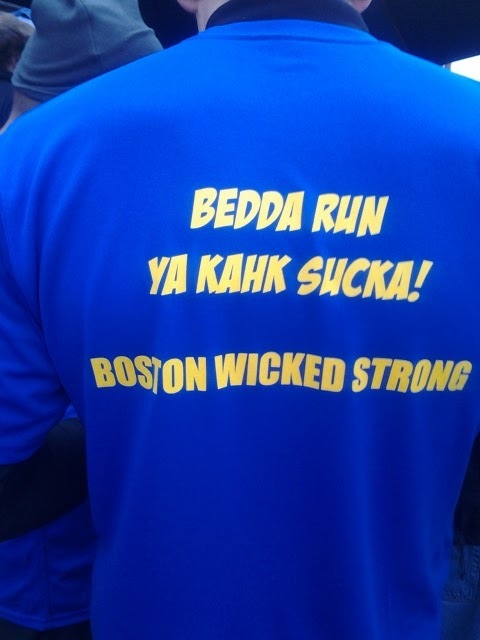 This was my favorite Corporate Team Challenge shirt that I saw, again from Ginger Hop. (They had my favorite last year, too.) Sorry for the pay channel language. 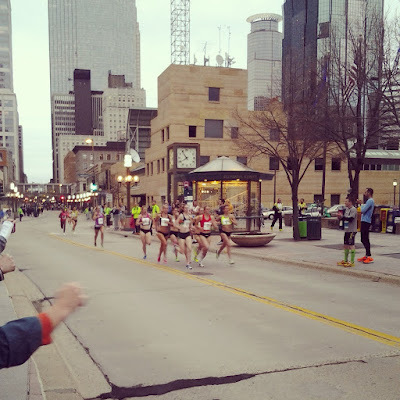 While drinking aforementioned beer, we watched the elites run and marveled at their speed. I couldn't even take a picture of the men because they were too fast. Finally, today I received an email telling me that I was one of 1,000 random finishers selected for entry into the Medtronic TC 10 Mile this fall. I've never run it and was so hoping I'd get in. We'll call it my 2013 Goal Race. Cue dramatic music. PS- It has just occurred to me this has been the fourth consecutive year that I've been present in some way at this race. In 2010 I was there as a spectator, while 2011 and 2012 I was an employee. Go figure. Nice time! Congrats on the race entry that is awesome!